In the final years of the Bakumatsu era lived a legendary assassin known as Hitokiri Battousai. Feared as a merciless killer, he was unmatched throughout the country, but mysteriously disappeared at the peak of the Japanese Revolution. It has been ten peaceful years since then, but the very mention of Battousai still strikes terror into the hearts of war veterans. Unbeknownst to them, Battousai has abandoned his bloodstained lifestyle in an effort to repent for his sins, now living as Kenshin Himura, a wandering swordsman with a cheerful attitude and a strong will. Vowing never to kill again, Kenshin dedicates himself to protecting the weak. One day, he stumbles across Kaoru Kamiya at her kendo dojo, which is being threatened by an impostor claiming to be Battousai. After receiving help from Kenshin, Kaoru allows him to stay at the dojo, and so the former assassin temporarily ceases his travels. 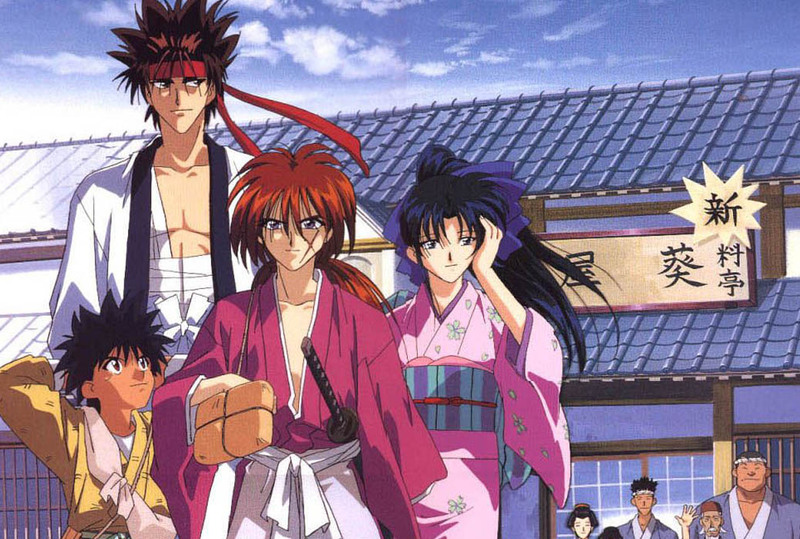 Rurouni Kenshin: Meiji Kenkaku Romantan tells the story of Kenshin as he strives to save those in need of saving. However, as enemies from both past and present begin to emerge, will the reformed killer be able to uphold his new ideals? This is one of the greatest anime series I have ever seen. I have been introduced anime on relatively recently...1997 at earliest. In that time, I've gotten my hands on a number of really good and really bad shows. Kenshin is definitely among the best. The dynamic emotions of Kenshin himself as well as the mix of humor and philosophy of life vs. death in the show make it exceptionally entertaining and captivating. The mutual devotion between Kenshin and his friends, Kaoru, Sanoske, Yahiko, etc... is amazing to watch as it develops and is put to the test. 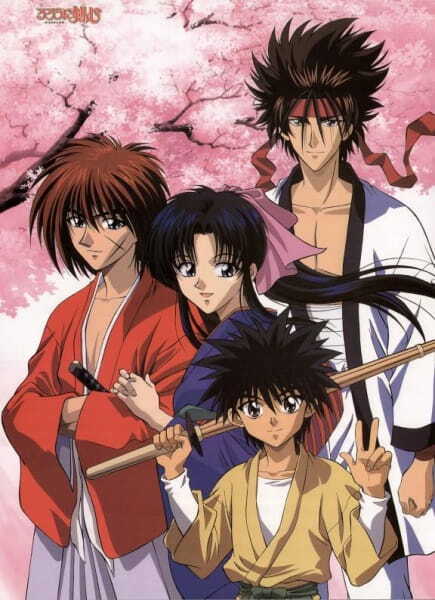 The sadistic enemies, and the foolish ones, all provide foils that drive the plot and cause the viewer to be moved as Kenshin struggles to throw off his murderous past in favor of a life defending his honor, his friends, and the innocent. If you are a long time anime-buff, or a new fan of the genre...this series is a must-see.